Small and medium businesses want to build private compute clouds as much as the larger enterprises that the top-tier server makers are focused on. But many of the pre-integrated cloud stacks coming out of IBM, Hewlett-Packard, Dell, and the Acadia partnership – Cisco Systems, EMC, and VMware – are overkill for SMBs. 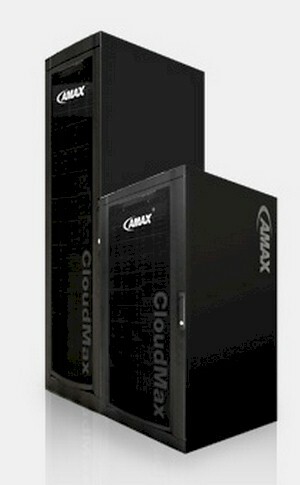 And so Amax Information Technologies has forged its CloudMax private clouds just for them. Amax, which was founded in 1979, is a whitebox server and workstation maker based in Fremont, California that also has a business selling high performance computing clusters as well as bending metal on an OEM basis for various server appliances. The company has built HPC clusters for Argonne National Lab, CalTech, the Department of Defense, and Stanford University, and this is the big revenue generator for Amax. The OEM appliance business, which includes building boxes for Riverbed, Symantec, McAfee (now part of Intel), is a much higher volume business for Amax, but doesn't rake in the bucks like HPC, according to John Tran, marketing manager at the server maker. The company has a growing enterprise server business, where it is selling directly to end user customers, too. Across these three units, Amax has hundreds of customers, making it a solid tier two player. The CloudMax private cloud appliances launched today are coming out of this enterprise unit. Winston Tang, system engineer and product development manager at Amax, tells El Reg that the company started with a target price tag of $65,000. "At that price, that is like buying eight server nodes and getting a private cloud for free," says Tang. It is also an amount of money that an SMB could reasonably scrape together for a private cloud, and so Amax worked backwards from that number to build a hardware and software stack that would let customers get cloudy infrastructure suitable for their needs at a price they could pay. The configuration is also, says Tang, suitable for a branch office of a larger enterprise that needs to have local cloud computing. The initial CloudMax setup is based on a half-rack configuration, and Tang is busy at work designing a full-rack private cloud that can span multiple racks and be used for larger enterprises. The 14U CloudMax cabinet has eight rack-based server nodes, and Tang says that Amax went with rack configurations because, generally speaking, SMBs don't need super-dense blade servers and they won't pay a premium for that density. The rack has seven two-socket servers that use Intel's quad-core Xeon 5600 processors. The quad-core chips don't have as much oomph as the six-core Xeon 5600s, but they are relatively inexpensive and therefore helped Amax get down to that $65,000 configured private cloud price point it was shooting for. These seven nodes are configured with 48GB of main memory, or about 6GB per core, which is about the best practice for clouds these days where you pin a virtual machine to each core. All of these nodes also have two dual-port Gigabit Ethernet ports on their system boards so there is enough network bandwidth to keep the virtual machines from gasping for bits. The six compute nodes in the CloudMax setup have a two 500GB drives for local storage of the hypervisor and OS images that run on the cloud. The head node has three 1TB disks and runs the cloud management software that Amax has chosen for the initial configurations, which in this case is the ISF 2.1 cloud control freak that debuted from Platform Computing in January of this year. The rack also includes a fatter storage node that is based on the same two-socket Xeon 5600 processors, but the box has only 12GB of main memory and has six 2TB drives. Another six drives had fit in the storage node for more data expansion. The system board used in the storage array has hardware RAID 5/6 and six Gigabit Ethernet ports. The machines are based on Intel motherboards and Amax has also chosen a 48-port top-of-rack Gigabit Ethernet switch, based on the Broadcom ASICs and built by Super Micro. The rack includes a 17-inch LCD slideaway KVM switch, power distribution units, and three years of parts and labor warranty support. The stack includes a SonicWALL NSA 2400 firewall as well to secure the servers, storage, and network. Tang says that ISF 2.1 was the first choice for a cloud controller layer because it can manage both physical and virtual server instances and handle the job queuing for workloads as well. The servers are set up with the freebie version of the XenServer 5.6 hypervisor from Citrix Systems by default, but VMware's ESX, Red Hat's KVM, and Microsoft's Hyper-V are all supported by the ISF 2.1 cloud controller. Amax knows that some SMB customers will want to use different cloud controlling software, so it is taking a look at the 3Tera AppLogic application virtualization software from CA Technologies as well as Canonical's Ubuntu Enterprise Cloud. The latter merges the open source Eucalyptus cloud fabric with Ubuntu Linux to create a private cloud that is compatible with Amazon's EC2 compute cloud APIs. The CloudCenter cloud fabric from Citrix Systems and the OpenStack fabric being championed by NASA and Rackspace Hosting are also on the radar at Amax for the CloudMax setups. The CloudMax appliance is a little light on CPU cores and a little heavy on memory, and intentionally so given the virtualized server workloads it is designed to support, says Tang. If you pin one VM to one core, then you can put 48 virtual machines on the CloudMax at a cost of $65,000 – and that includes the cost of licensing ISF 2.1 – or about $1,354 per VM. That entry price point, according to Tang, is not something that other cloudy stack providers are able to hit. A baby Vblock from Cisco and EMC has 16 Unified Computing System blades and you can only do 10 Gigabit Ethernet networking; it costs $196,000 according to Amax. A rack of 15 blades with the appropriate PowerConnect Gigabit Ethernet switches and EqualLogic iSCSI SAN storage will run around $150,000 with either the Egenera PAN Manager or Dell VIS controlling the physical and virtual infrastructure. Entry BladeSystem Matrix setups from Hewlett-Packard and CloudBurst configurations from IBM – both based on 15 blade servers plus switches and storage – cost on the order $200,000, says Tang. That is too much iron and too much money for SMBs. That said, Amax knows it wants to chase these customers, and that is why it is designing a full-rack CloudMax right now. Tang is not giving out too many clues, but he hinted that if you wanted to build a super-dense cloud, you would use the twelve-core Opteron 6100 processors. "You can get 48 cores and 32 memory slots in a very small space." Indeed. With a dozen 2U, four-socket Opteron 6100 rack servers, you're talking about 576 virtual machines in a setup with one VM per core. Amax could also go with the Twin2 half-width tray servers designed by Super Micro or some other supplier to boost the density of the CloudMax appliances. Either way, you could attain the kind of density you can get from modern Xeon-based blade servers without having to go to blades using the Opteron 6100s in either rack or tray servers.